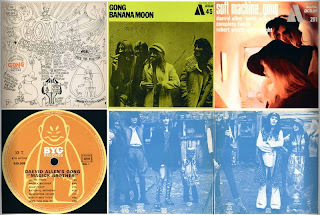 Steve Gay e Jonny Greene aggiornano al sito PlanetGong la sezione dedicata agli album di Daevid Allen e Gong - Magick Brother, Bananamoon, Camembert Electrique, Flying Teapot e il singolo Est-ce-que Je Suis - pubblicati a suo tempo dall'etichetta francese BYG e apparsi con diverse varianti, non prive di errori e difetti, anche sui mercati tedesco e giapponese. 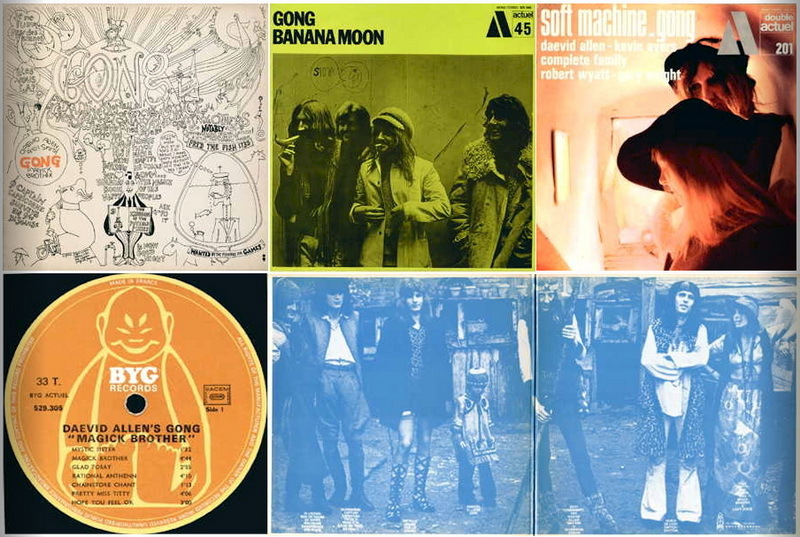 Of the many labels on which Gong have released albums over the past forty years, the French BYG label has proved the hardest one to catalogue and organise with any reliable degree of accuracy. There is little easily accessible documentation on the finer details of this obscure and short-lived label which specialised in issuing albums by relatively unknown, predominantly American free-jazz musicians in the late 1960's and early 1970's. Gong were one of a small number of non jazz artists signed to the label. BYG only released Gong and related albums in three different countries, France, Germany and Japan, with the French releases naturally being the most prolific and the Japanese ones the most rare and hardest to find. The pressing quality on the Japanese albums appears to be far better than the French versions. It is a common belief that the French BYG pressings were often made from recycling old unsold albums, re-melting them for use in new albums. If you look closely at many of the French releases, especially the later pressings, small bubbles and imperfections are visible on the album's surface. In many cases this leads to a high level of background noise and loss of sound quality when the record is played. However this does not detract from their desirability to collectors, and they remain perhaps the most prized of all albums among Gong aficionados for being the true first releases the band's early recordings. When asked Daevid remembers BYG always scrambling to save costs on pressing and mentioned early releases being made by, "pig-farmers in the French countryside somewhere", and he wasn't being completely ironic.